While we see beautiful diamonds in rings, earrings, and other types of jewelry each day, we rarely think of their origin in a mine across the world. Diamond mines around the globe are generally quite big, with some stretching out over an entire mile. If you are interested in the birthplace of these stones, below is a list of some of the largest diamond mines in the world. Located just outside of Mirny, a miniscule town in the eastern stretches of Siberia, this diamond mine is one of the largest of its kind in the world. It didn’t start as a hole, however: the Siberian frost covered most of the land, forcing developers to first use jet engines, and finally explosives in order to melt away layers of ice. All the work eventually paid dividends: during peak years of harvesting, this mine yields over 10 million carats of diamond. The Catoca mine in Angola, while not as big as some of its relatives in eastern Russia, still harvests nearly 7 million carats per year, as well as 10 million tons of ore. And while the pit is now only operating at 200 meters below the surface, scheduled digging is set to eventually reach depths of over 600 meters. This won’t be sustainable forever though, as researchers predict the mine will only be in operation for the next 30 years or so. This massive diamond mine in the Kimberley region of Western Australia is expected to yield over 20 million carats per year, making it one of the largest diamond producing mines across the entire globe. Argyle has a storied past and a bright future: the mine has already produced over 790 million carats of diamonds, and is believed to hold 140 million more carats in its reserves. If all goes according to the mining schedule, the operation of this hole will be sustainable until at least 2020, and will continue to produce large amounts of jewels each year. Another mine in the eastern-most reaches of the Siberian tundra, Jubilee is famous for being the largest diamond mine in the entire world. It is believed to contain over 153 million carats of diamonds, even though it has been in full operation since 1986. It doesn’t only produce diamonds though, as ore extractions in some years reach over 10 million tons. Additionally, it appears to have a long life ahead of it. 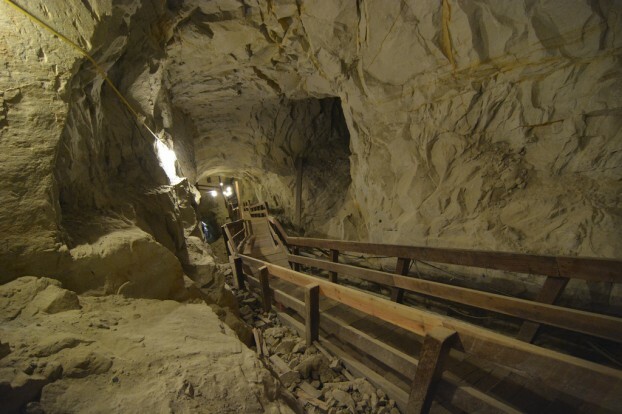 Miners are only operating 320 meters below the surface currently, and scientists and researchers believe that they will be able to safely and productively mine ore and diamonds as far deep as 720 meters. These estimates suggest that the lifespan of this massive mine will stretch far into the future. While we rarely think of the origin of jewels and diamonds, they tend to come from some magnificent places. The diamond mines mentioned above are some of the biggest in the world, producing a large percentage of the world’s diamond jewelry. Jordan Haynes is a freelance writer specializing in jewelry, diamonds, gold, silver, metallurgy, chemistry and other assorted topics; readers who’d like to learn more about diamonds can click here for information on modern diamond transportation. Image credit goes to jankertown.